This company deserves more support! If you already lost your faith in humanity, then this will surely restore your faith. A furniture company in Houston decided to break their golden rule, from “No Sitting Please” to saving lives of hundreds of people. 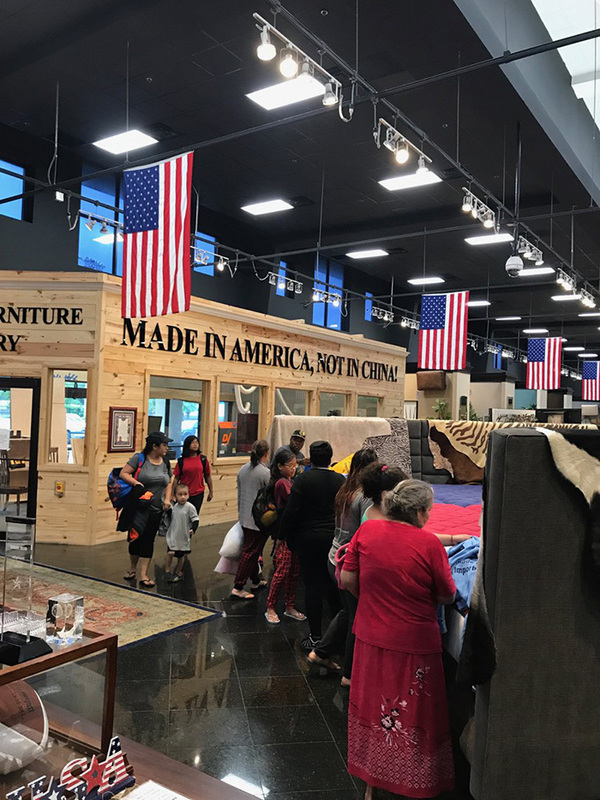 Gallery Furniture announced its plan to open the locations as shelters on Facebook over the weekend, noting that the stores had food, beds, and clean restrooms for anyone in need. Pets are also welcome at the stores, as long as they are kenneled and remain by their owners. The company even sent out its largest moving truck to pick up stranded residents and bring them back to the store.